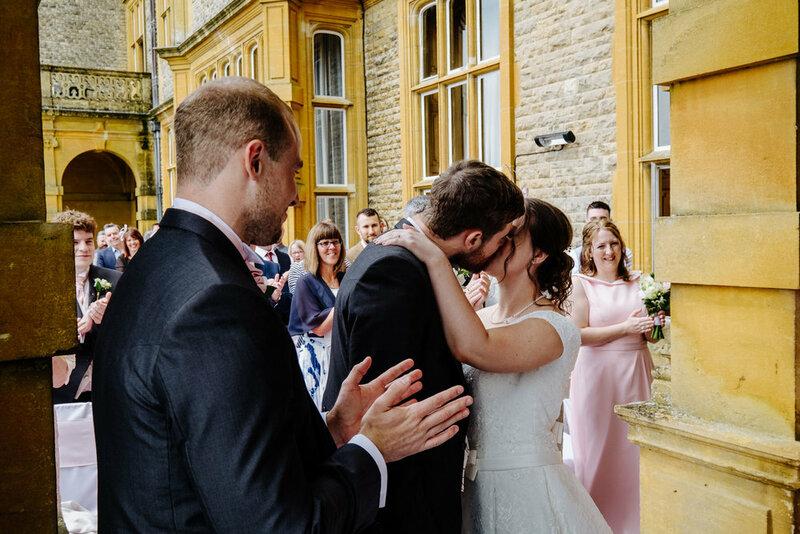 We photographed Helen and Kieran’s lovely Eynsham Hall wedding in May 2018, and what a wonderful wedding it was. 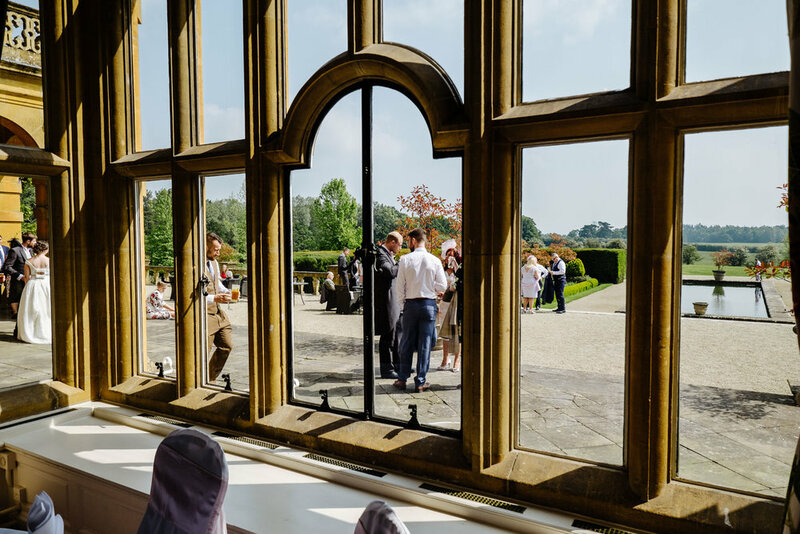 Situated near Witney in the Oxfordshire countryside, Eynsham Hall is a luxury Oxfordshire country house hotel with fabulous gardens, lovely stately (but not stuffy!) 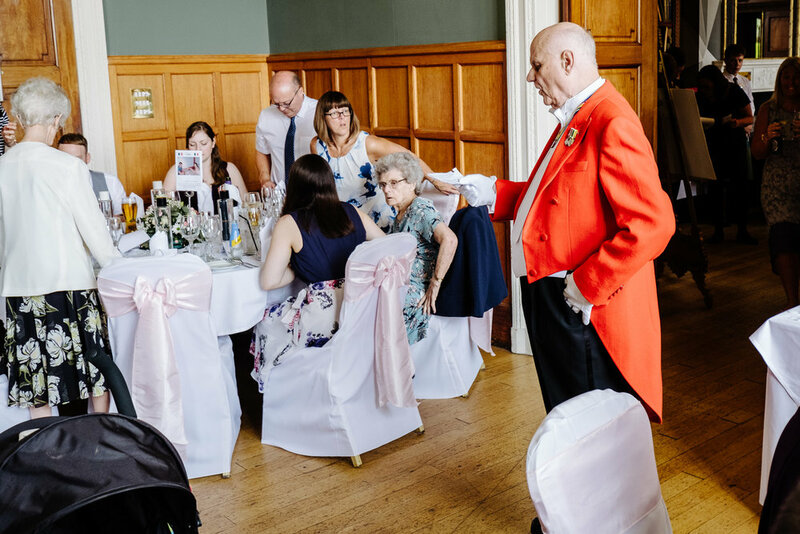 rooms, and excellent staff, it is a perfect venue for a country wedding. 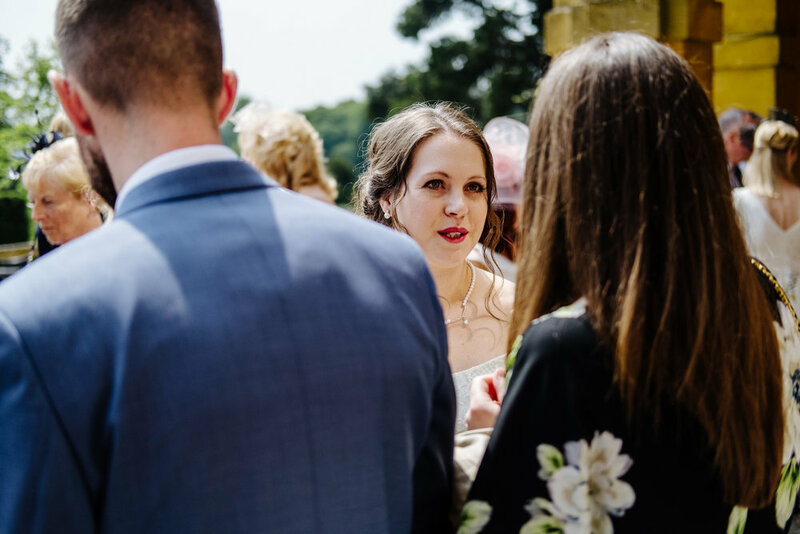 We always enjoy photographing at Eynsham Hall; Lisa Marie Gardner, the wedding specialist always ensures everything runs to plan, but in a calm and efficient way. 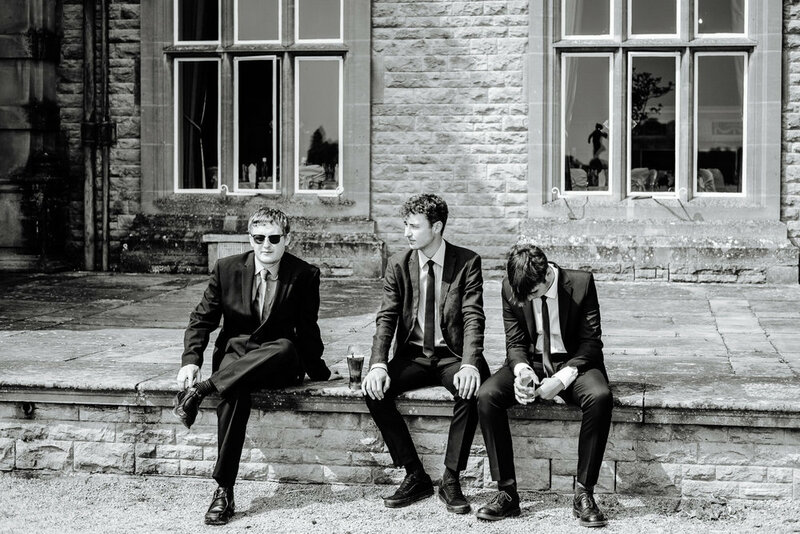 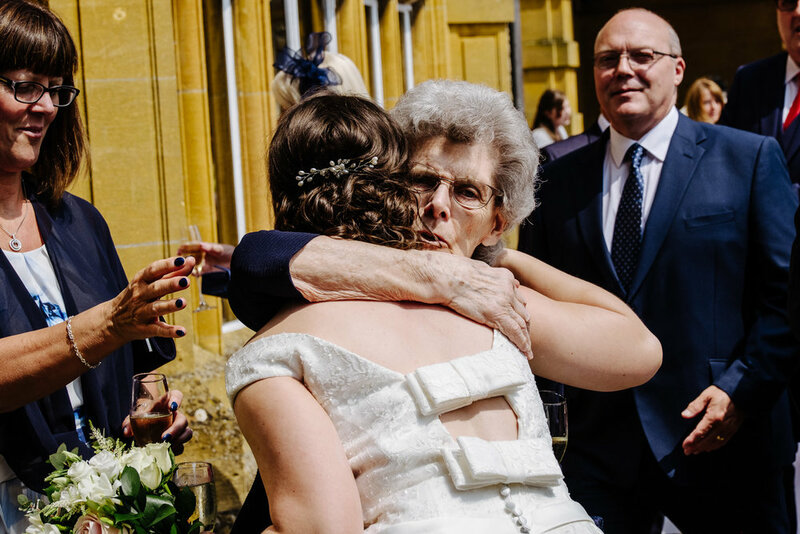 As documentary wedding photographers, we like to blend in during a wedding day, and not seek to take over and organise proceedings, and the team at Eynsham understand this perfectly. 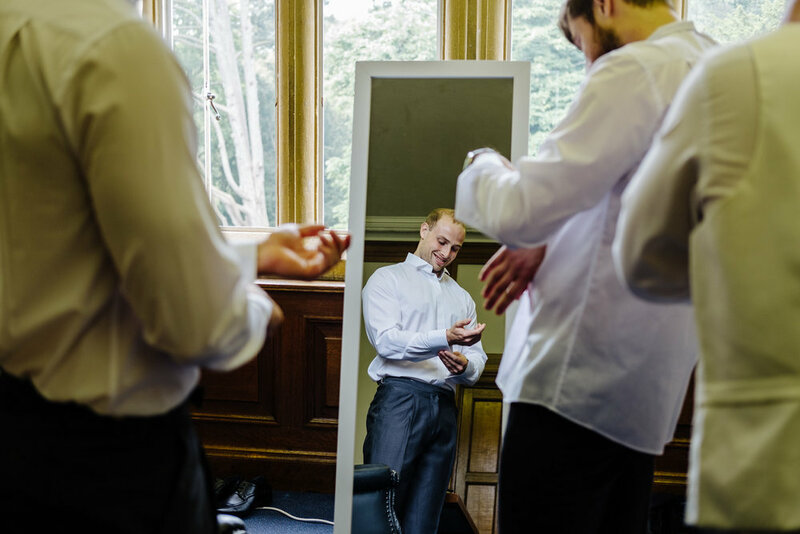 Our day began as usual with Samantha photographing the brides’ preparation, whilst I was with the groom and groomsmen. 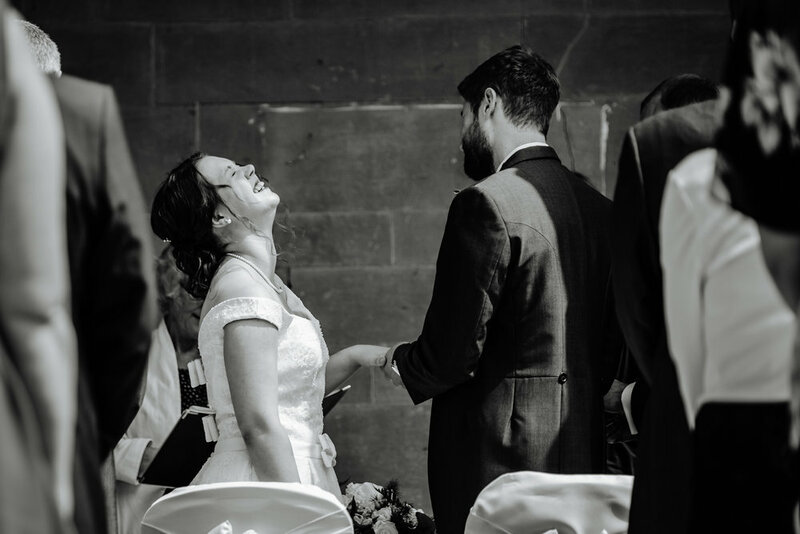 As both of them were getting ready at the venue, this was easy for us to do, whilst at the same time keeping in touch with each other. 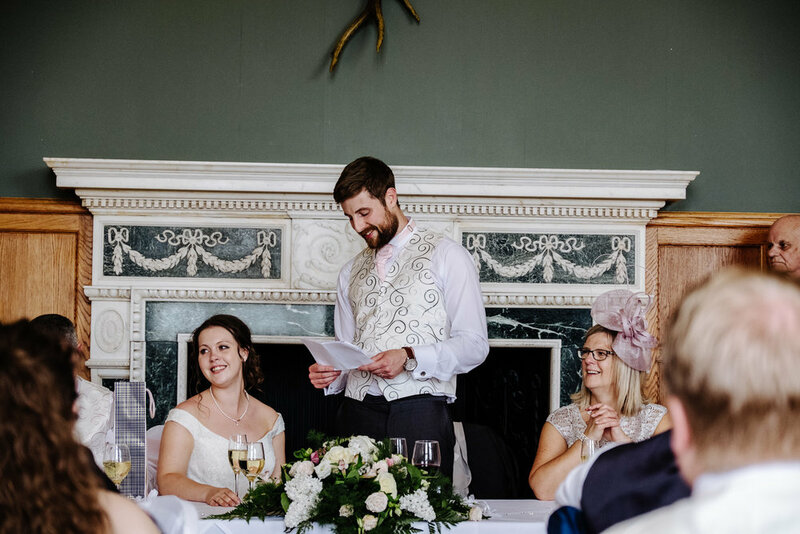 This wedding was our first with our new Fujifilm X-H1 camera, which Sam used all day and loved working with. 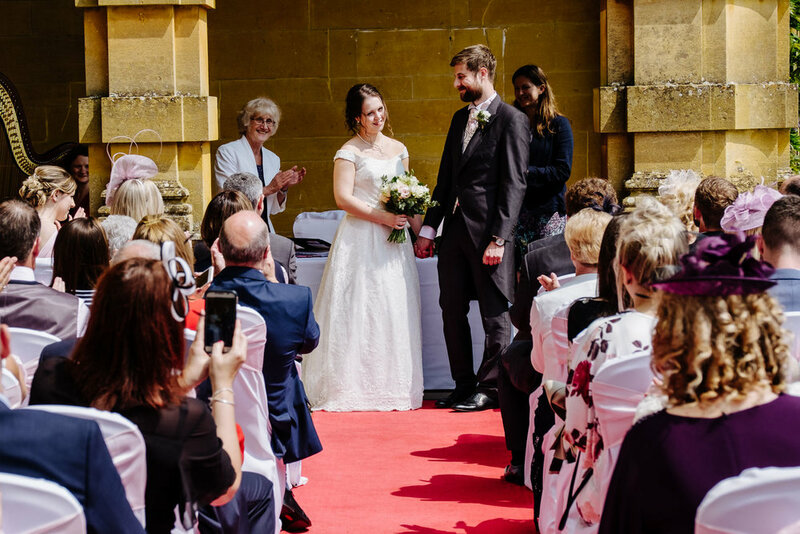 One of the joys of photographing weddings at Eynsham Hall is the facility for holding the ceremony outside, which Helen and Kieran elected to do. 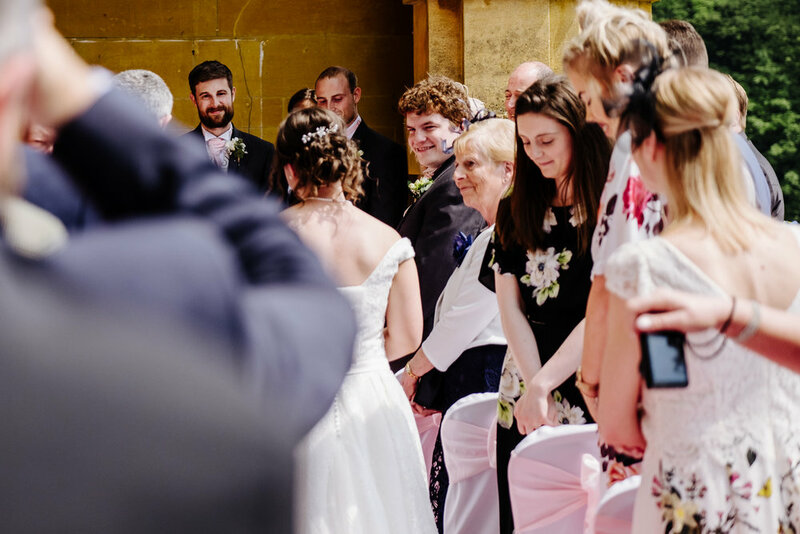 The May weather gods smiled on them, and rain stayed away for the duration of the ceremony, and for their guests to enjoy the gardens and the ample drinks and canapés served by the Eynsham team. 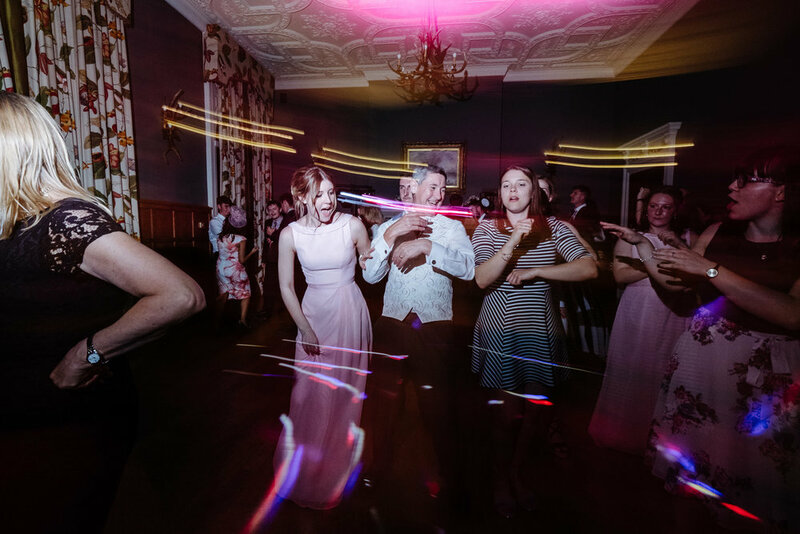 We loved photographing Helen and Kieran’s wedding, and stayed as is usual for us well into the late evening to photograph the dancing and partying they enjoyed with their guests. 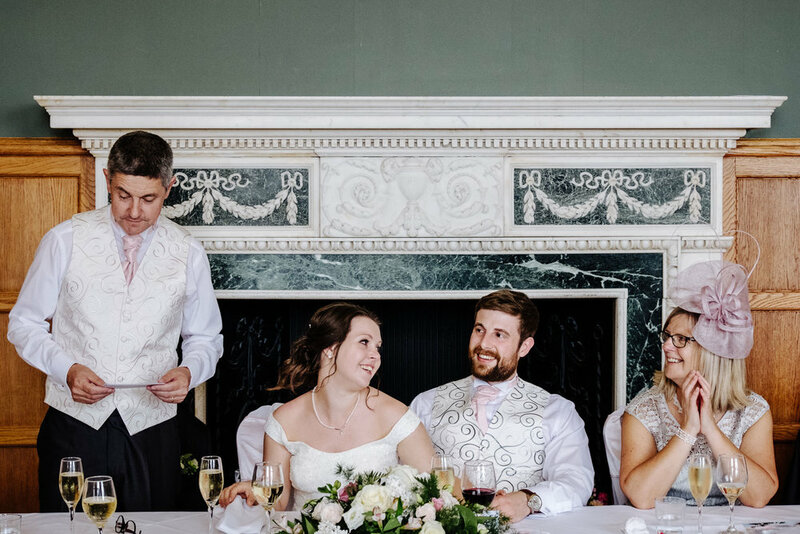 We were thrilled with the lovely review they gave us on our Google page, thank you both so much! 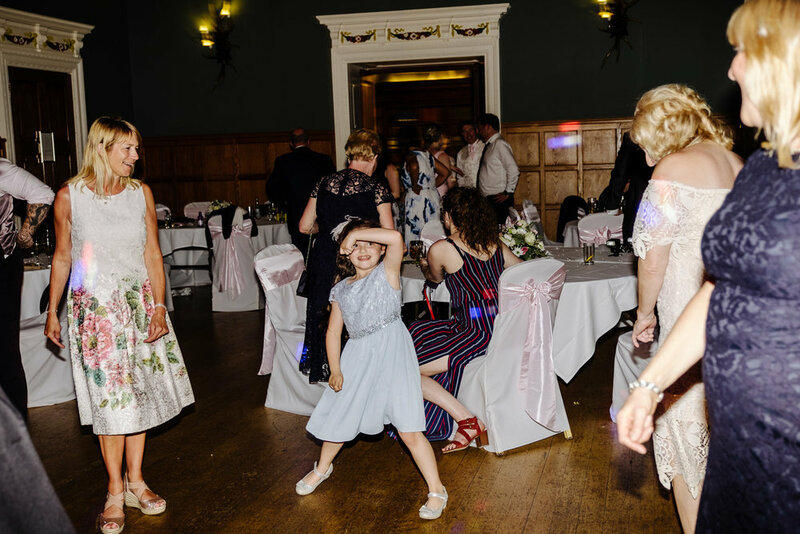 Orange Discos (part of the package with Eynsham). 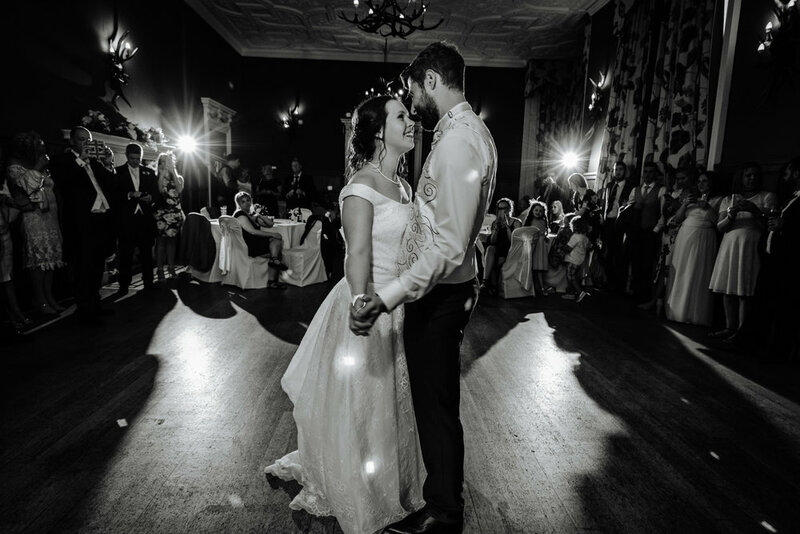 The following is a collection of some of the photos we provided Helen and Kieran. 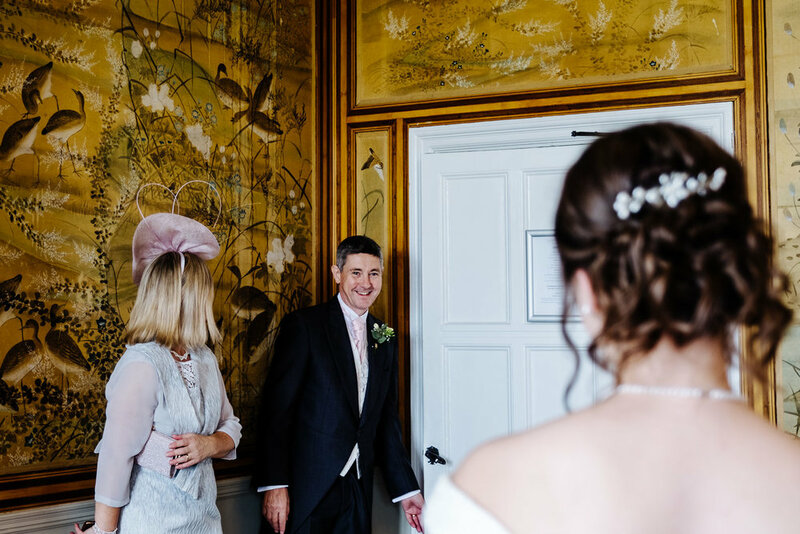 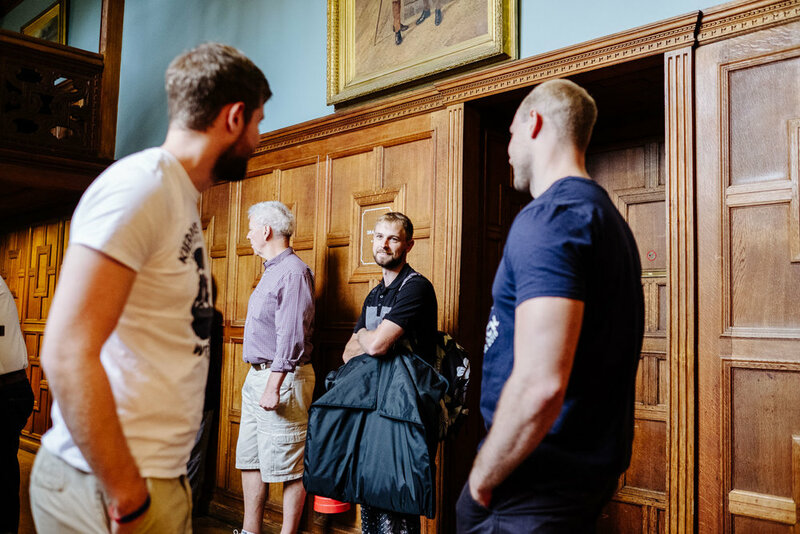 If you are looking for documentary style wedding photography at Eynsham Hall, or of course any other venue, we would love to hear from you.